Since resuming public radio program production in 1999, Paul Ingles has produced some of the most widely heard music specials in the country including an extensive series of in-depth programs on the history of The Beatles, and a series called "The Emergence of..." which explores the early history and lasting impact of major artists like Joni Mitchell, Bob Dylan, Paul Simon, Linda Ronstadt, Otis Redding and Bonnie Raitt. 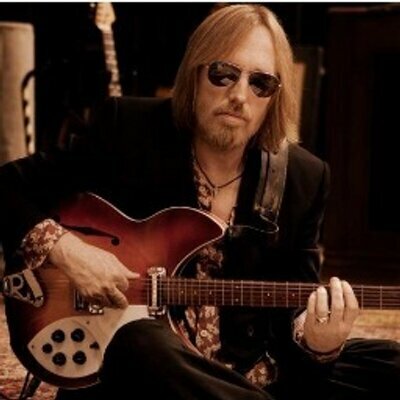 Other long-form pieces have put the spotlight on Tom Petty, Lou Reed, The Rolling Stones, Chuck Berry, David Bowie, Prince, Leonard Cohen, Leon Russell, Joe Cocker, Shawn Colvin, James Brown, Bo Diddley and Los Reyes de Albuquerque. 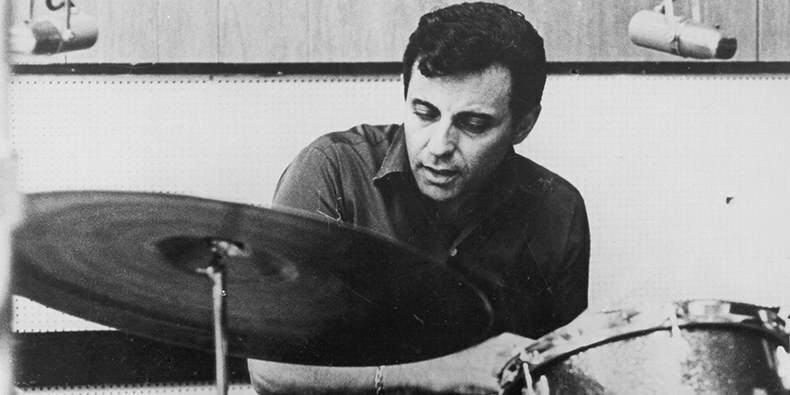 Hal Blaine has passed away. The country's top session drummer drove the beat to our favorite songs by The Beach Boys, The Byrds, Simon & Garfunkel, Neil Diamond, the Association, the Mamas and Papas, Glen Campbell, the Monkees, the Grass Roots, America, Elvis, Emmylou Harris, Roy Orbison, Frank Sinatra, Steely Dan and more. Blaine estimates he played on 6,000 records! Music historian Paul Ingles lines up 17 of HIS favorites for your listeners and provides stories and commentary about the humble and largely unheralded beat-keeper. Several clips from Blaine interviews are also included (courtesy of TheSessions.org). Blaine died at the age of 90, March 11, 2019. 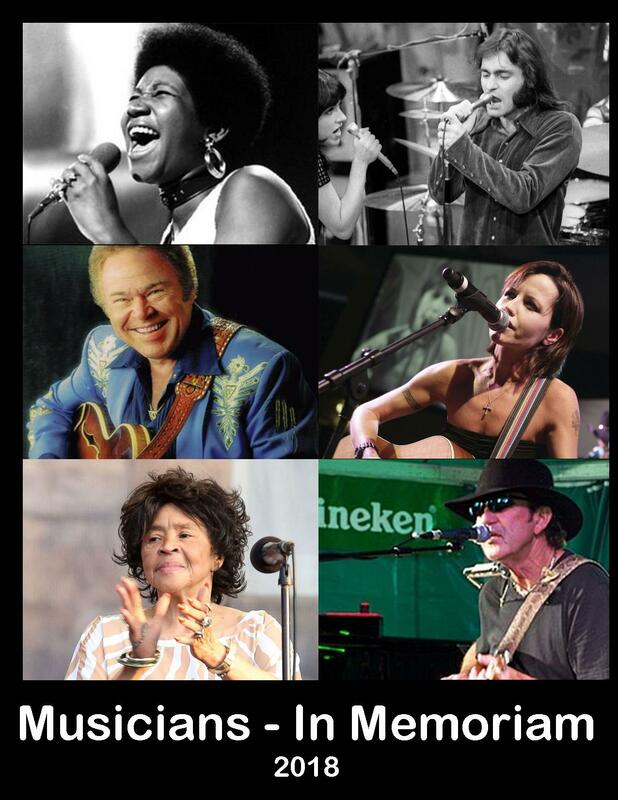 The 2018 MUSICIAN MEMORIAL SPECIAL honoring Aretha Franklin, Tony Joe White, Dolores O'Riordan, Roy Hargrove, Mac Miller, Roy Clark, Marty Balin and more who left us in 2018. Aretha Franklin's over 6 decade career is recalled by music documentarian Paul Ingles and a panel of music writers and commentators in the wake of Aretha's August 2018 passing at the age of 76. Featured in the program are 20 of Aretha's legendary performances and commentary from Ann Powers of NPR Music, Writer and educator Rob Bowman, writer Ashley Kahn, writer and musician John Kruth, and public radio host Gwen Thompkins. Some of the prominent popular musicians who passed away in 2017 are celebrated in a one-hour special hosted by public radio music historian Paul Ingles. Music included from Chuck Berry, Fats Domino, Chris Cornell, Gregg Allman, Tom Petty, Glen Campbell and more. Some of the prominent popular musicians who passed away in 2017 are celebrated in a one-hour special hosted by public radio music historian Paul Ingles. Music included from Chuck Berry, Fats Domino, Chris Cornell, Gregg Allman, Tom Petty, Glen Campbell, J. Geils, Pat Dinizio, and Paul Buckmaster. FATS DOMINO, the pioneering rock 'n' roll legend, passed away Tuesday, October 24 of natural causes at the age of 89. Music historian and documentarian PAUL INGLES has produced a 59:00 special that showcases Fat's legendary performances. It is a music-intensive hour with heart-felt and informational commentary from Gwen Thompkins, Anthony DeCurtis, Scott Freiman, Nick Spitzer, Ben Sandmill, Rick Coleman and others. The remarkable and varied performing career of Linda Ronstadt is explored by a panel of her friends, music writers, musicians and fans. Plus archival interviews with Linda. Paul Ingles hosts. Features hits and deep album cuts (44 songs included in the two-hour version) from all her many genre explorations and commentary from Peter Asher, JD Souther, Maria Muldaur, John Boylan, and others plus Linda herself. Hosted by Paul Ingles, who brought you "The Emergence..." episodes on Bob Dylan, Joni Mitchell, Bonnie Raitt, Paul Simon, Otis Redding and more. Also album specials on each major release by The Beatles. An appreciation of the 1967 Monterey International Pop Festival, generally recognized as the first pop or rock festival of all-time. It featured 33 acts in 3 days in June in 1967 and catapulted stars like Janis Joplin, Otis Redding, The Who and Jimi Hendrix into the American media spotlight. A panel of music writers and photographers join festival co-producer Lou Adler, documentary filmmaker DA Pennebaker, guitarist Steve Cropper, and Grace Slick of the Jefferson Airplane to discuss what was so special about Monterey Pop with host Paul Ingles. Music historian Paul Ingles hosts a panel of other music writers and fans remembering the musical legacy of Gregg Allman, who died May 27, 2017 at the age of 69. Both Allman's classic tracks with the Allman Brothers Band and from his several solo albums are highlighted in their entireties. 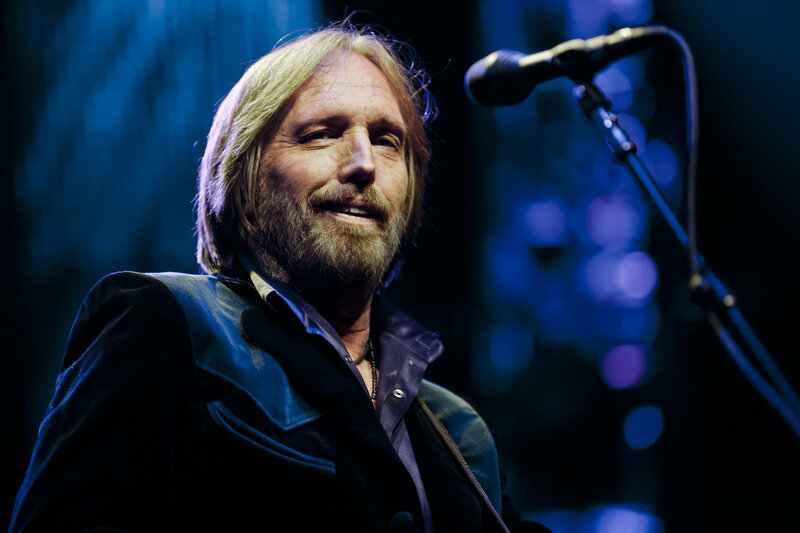 Woven among the songs are recorded comments from former broadcast journalists Steve Pendlebury and Michael Weinfeld, and music author Holly George-Warren, and written comments from Wall Street Journal music critic Jim Fusilli and musician Warren Haynes. 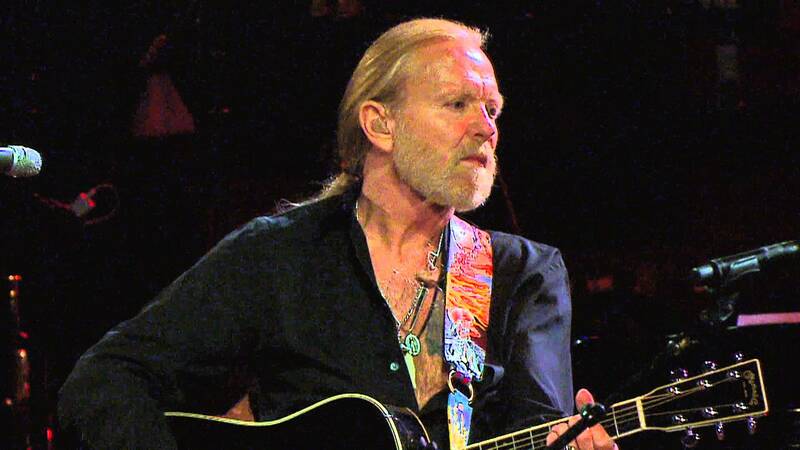 An excerpt from a Gregg Allman interview is also included. A rollicking music intensive salute to the music of Chuck Berry, who passed away at the age of 90 at his home in Missouri, Saturday, March 18, 2017. Music historian Paul Ingles focuses on the music presenting a lively hour of Berry's best loved tunes played by himself and by artists throughout rock 'n' roll's history who have treasured and emulated his music. 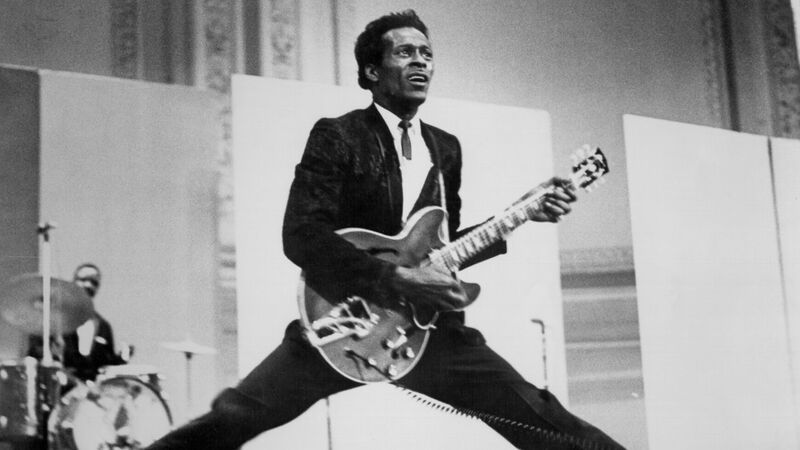 A music intensive salute to the music of Chuck Berry, who passed away at the age of 90 at his home in Missouri, Saturday, March 18, 2017. Music historian Paul Ingles focuses on the music presenting a lively hour of Berry's best loved tunes played by himself and by artists throughout rock 'n' roll's history who have treasured and emulated his music. Music by Chuck Berry, The Beatles, The Rolling Stones, EmmyLou Harris, Linda Ronstadt, The Grateful Dead, Elvis Presley, Electric Light Orchestra and More. A lively ride through the story of the soul star’s all-too-brief career but long-enduring legacy. We’ll hear from other musicians, music writers, fans and family of Otis Redding plus plenty of his most important music. Hour One can stand on its own. Hour Two is a deeper dive into Redding's music and story. Guests include: Redding's daughter Karla Redding-Andrews, Steve Cropper (Booker T & the MG's), Paul Janeway (lead singer of St. Paul & The Broken Bones), James Alexander (bassist/ Bar-Kays), music writers Rob Bowman, Jonathan Gould, Peter Guralnick, Lynell George, Ashley Kahn and Stax Museum Director Jeff Kollath. 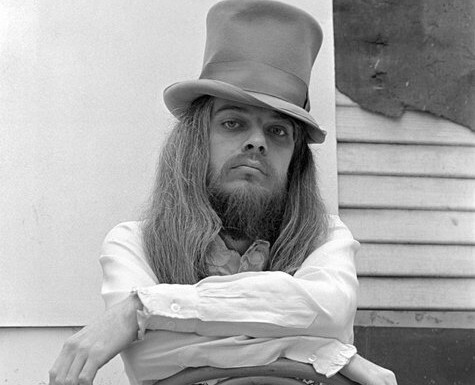 Produced the day after Leon Russell's death on November 13, 2016, music host Paul Ingles plays some spectacular Leon Russell performances and reviews his career with guest contributors Steve Pendlebury, Gardner Campbell, Darren Devivo and Scott Freiman. Rock and Roll Hall of Famer Steve Cropper talks with Paul Ingles about his collaborations with Otis Redding and other highlights from his career as one of the top session musicians of all time in this extended interview. 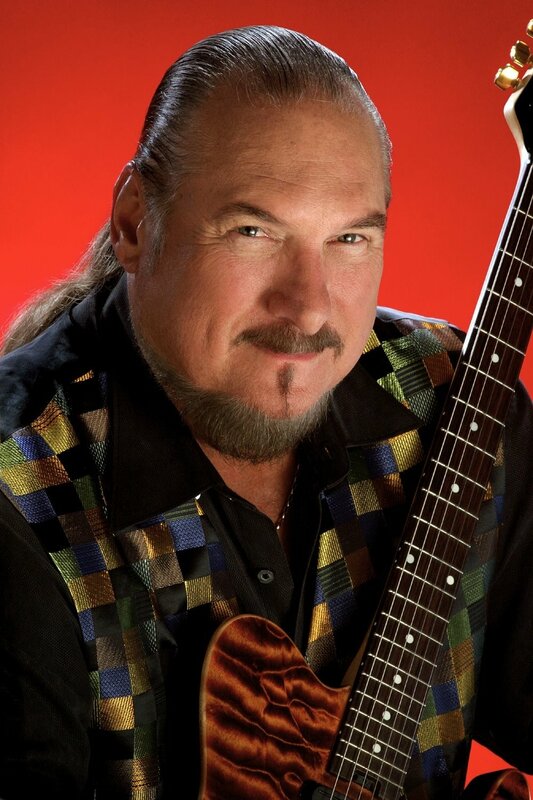 Rock and Roll Hall of Famer Steve Cropper talks with Paul Ingles about his collaborations with the great Otis Redding and other highlights of his career in this extended interview. The interview was excerpted for Paul's 2016 program THE EMERGENCE OF OTIS REDDING. This presentation focuses on the Cropper interview alone with music excerpts sprinkled in. Music host Paul Ingles anchors this tribute to singer/songwriting legend Leonard Cohen who passed away November 7, 2016 at the age of 82. 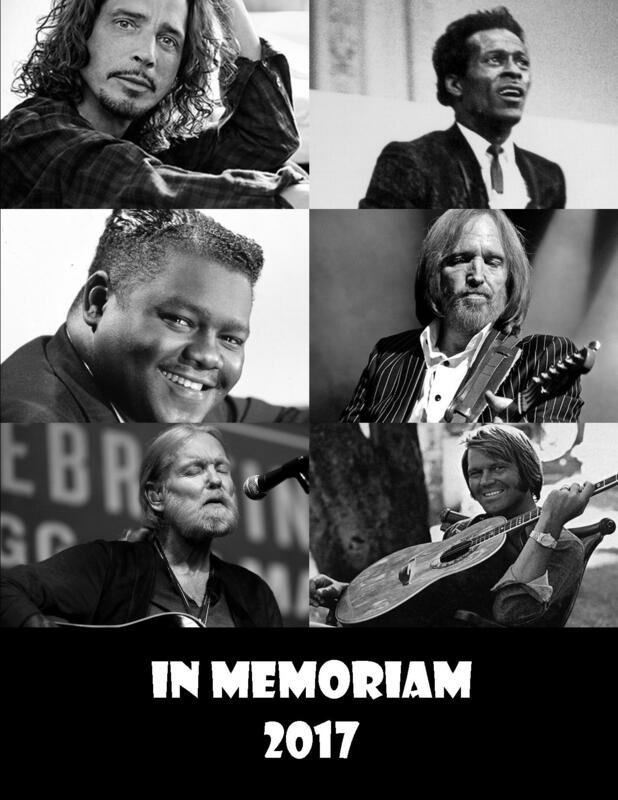 Writers and musicians who sent in tributes, read by Ingles, include Rolling Stone Magazine's Anthony DeCurtis, Jim Fusilli of the Wall Street Journal, Esquire contributor Jeff Slate, author Steve Turner and musician Peter Mulvey. Rock and Roll Hall of Famer and multiple Grammy winner Bonnie Raitt talks with Paul Ingles about her life and career in this extended interview. 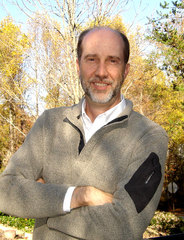 The interview was excerpted for Paul's 2012 program THE EMERGENCE OF BONNIE RAITT. This presentation focuses on the Raitt interview alone with music excerpts sprinkled in. Bonnie talks about her early influences, her early days as a 20-something blues phenom, her brush with addiction and obscurity, then her rise back to the top with a string of Grammy awards and commercial success. 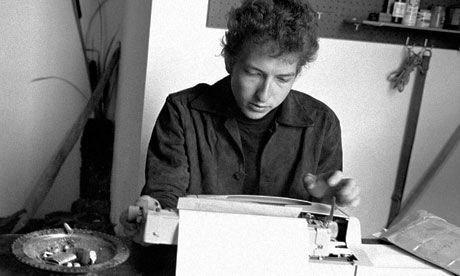 Music writers, musicians and Bob Dylan fans were invited to write to music host Paul Ingles with a choice of a Dylan track since mid-1975 that they each believe demonstrates his worthiness for the Nobel Prize in Literature that he was bestowed in October of 2016. Hear their 9 choices in this hour long special. Music writers, musicians and Bob Dylan fans were invited to write to music host Paul Ingles with a choice of a Dylan track that they each believe demonstrates his worthiness for the Nobel Prize in Literature that he was bestowed in October of 2016. Hear their 9 choices in this hour long special. Contributors included Anthony DeCurtis, Mary Gauthier (go-shay), Jim Fusilli, Paul Zollo, Gardner Campbell, Peter Mulvey, Kevin Odegard, John Kruth, Rob Martinez, Darren DeVivo, and Jon Spurney. Produced on the day the legendary singer-songwriter passed away in 2016, music host Paul Ingles guides listeners through a tour of some great Guy Clark tunes, played by Guy himself and some of his friends, like Willie Nelson, Patty Griffin, Rosanne Cash and Rodney Crowell. Paul Ingles hosts an hour of music and reflections by friends and fans of music legend Prince who died April 21, 2016. Music host Paul Ingles continues his appreciation of Prince, the legendary musician who died April 21, 2016 at the age of 57. NPR Music's Ann Powers and other guests remember Prince's life and music. 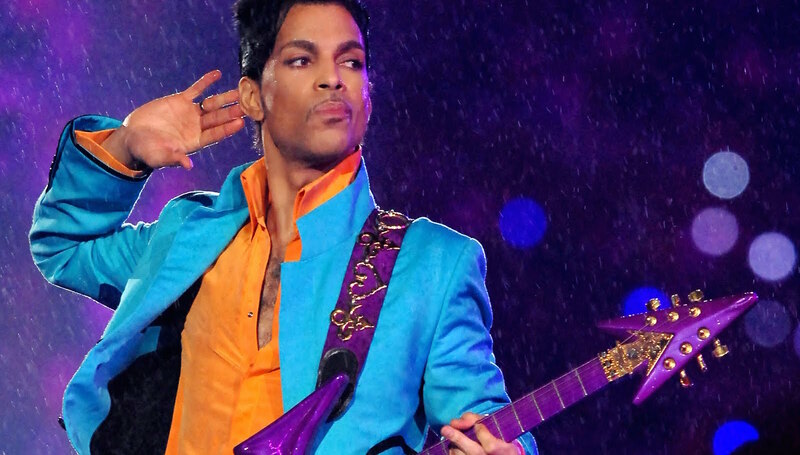 The show features over a dozen of Prince's tunes. 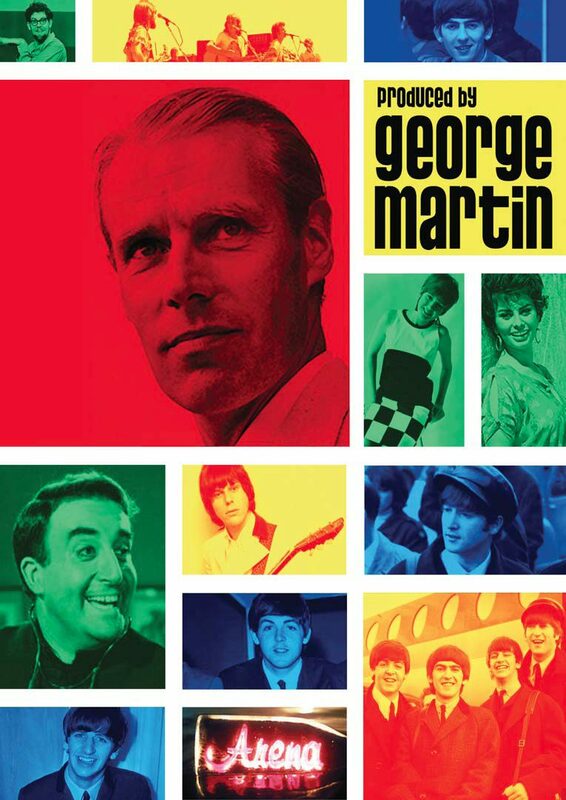 Radio Producer Paul Ingles mines his many documentaries on Beatles albums for a few stories that show off producer George Martin’s contributions to Beatles records. The legendary record producer died March 8, 2016, at the age of 90. Songs include, "In My Life," "Rain," "I'm Only Sleeping," "Eleanor Rigby," "Yellow Submarine," "Strawberry Fields Forever," "Penny Lane," "She's Leaving Home," "Being For the Benefit of Mr. Kite," "Within You Without You," "Golden Slumbers," "Carry That Weight," "The End". Paul Ingles is joined by music writers Holly George-Warren and Richie Unterberger to further consider the musical legacy of David Bowie. Bowie died January 10, 2016 at the age of 69. Paul Ingles is joined by music writers Holly George-Warren and Richie Unterberger to further consider the expansive musical legacy of David Bowie. Bowie died January 10, 2016 at the age of 69. Frey who died January 18, 2016. Music intensive hour. A music intensive two-hour program of B.B. 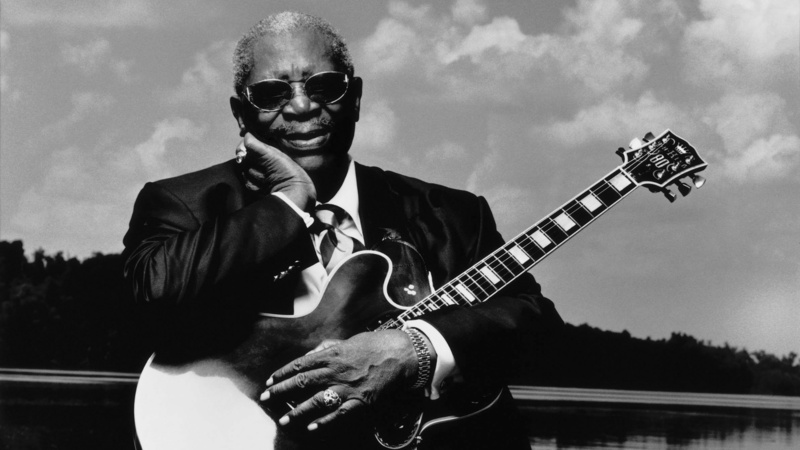 King performances that celebrate his long-standing role as the unassailable "King of The Blues." Paul Ingles hosts. B.B. King died in his sleep, Thursday, May 14, 2015 at his home in Las Vegas at the age of 89. Music host Paul Ingles guides listeners through a two-hour musical tour of both famous and more obscure King masterworks that span his nearly 70 year performing career. B.B. King died in his sleep, Thursday, May 14, 2015 at his home in Las Vegas at the age of 89. Note that in each hour, Segment A - ends with a :59 music bed that can be ducked for local anncts. and Segment B - ends with a :59 music bed that can be ducked for local anncts too. See Timings and Cues for details. A celebration and exploration of "Blood on the Tracks," the Bob Dylan album voted his best in a Rolling Stone magazine fan survey. Music writers, musicians, and fans offer comments about Dylan's 1975 release and host Paul Ingles talks with several of the studio musicians who worked with Dylan to re-record half of the album in the last days of 1974 in Minneapolis, Minnesota. Music host Paul Ingles presents 10 memorable performances from Joe Cocker, who died December 22, 2014 of lung cancer after a career that spanned 50 years. Music host Paul Ingles presents 10 memorable performances from Joe Cocker, who died December 22, 2014 at the age of 70 of lung cancer after a career that spanned 50 years. 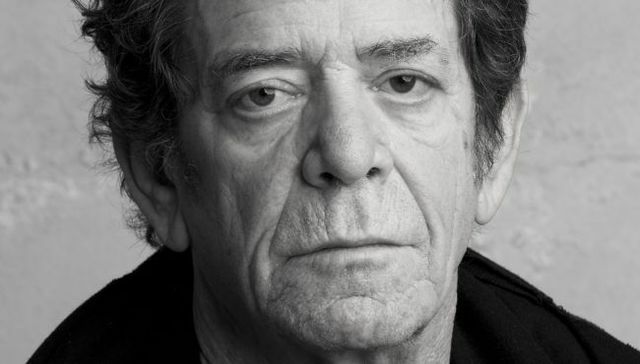 A panel of music writers and Lou Reed fans sample the late musician's catalog through the years and suggest what made him important to the history of rock music. Songs from both Reed's days with the Velvet Underground and his solo career are highlighted. The program is hosted by award-winning produer Paul Ingles and includes Antony DeCurtis and Will Hermes of Rolling Stone Magazine, Richie Unterberger, author of White Light / White Heat: The Velvet Underground Day by Day , Reed fan Charles Gregory, and Ann Powers of NPR Music. Among the songs featured...HOUR ONE - "Sweet Jane," "There She Goes Again," "Heroin,""Venus in Furs," "Pale Blue Eyes," "Walk on the Wild Side," "Perfect Day," "Romeo Had Juliette," "Jesus," "Rock and Roll." HOUR TWO - "How Do You Think It Feels," "I'll Be Your Mirror," "All Tomorrow's Parties," "Vicious," "Caroline Says II," "Satellite of Love," "New Sensatations," "Busload of Faith." NOTE: ALTHOUGH THE PROGRAM IS TWO HOURS, PROGRAMMERS MAY CHOOSE TO ONLY USE THE FIRST HOUR, WHICH STANDS ALONE WITH NO SPECIFIC REFERENCE TO A SECOND HOUR. HOWEVER, IF YOU PLAN TO RUN THE SECOND HOUR, IT'S RECOMMENDED THAT YOU ANNOUNCE "STAY TUNED FOR HOUR #2 OF LOU'S LEGACY NEXT" AT THE VERY END OF THE FIRST HOUR, SINCE WE DON'T. THERE IS ALSO A 22:00 FEATURETTE THAT CAN BE USED WITHIN EXISTING MUSIC PROGRAMMING AS A STANDALONE OR AS A PREVIEW OF THE LONGER SPECIAL TO BE PLAYED AT A LATER TIME. As the Rolling Stones keep touring, and, in 2016, released a new blues cover album, we join the celebration with a public radio special from award-winning producer Paul Ingles. It's called "Got Blues If You Want It! A Rolling Stones Special". The program is exclusively devoted to an exploration of the blues and rhythm & blues roots of The Rolling Stones. Top-notch music writers, musicians and fans provide context for a cavalcade of the Stones' blues classics - both their covers of songs by their heroes and their own bluesy takes on their original rock 'n' roll. As the Rolling Stones keep touring, and, in 2016, released a new blues cover album, we join the celebration by presenting a public radio special from award-winning producer Paul Ingles called Got Blues If You Want It! A Rolling Stones Special. This program explores the blues and rhythm & blues roots of The Rolling Stones. Top-notch music writers, musicians and fans provide context for a cavalcade of the Stones blues classics - both their covers of songs by their heroes and their own bluesy takes on their original rock 'n' roll. The show also features clips from some of the original artists that inspired the Rolling Stones to play music - Howlin' Wolf, Muddy Waters, Chuck Berry, Slim Harpo and more. This progam is no 'greatest hits' parade of overplayed Stones classics but instead features more of the unsung blues numbers that peppered their repertoire like "Little Red Rooster," "I'm a King Bee," "Love in Vain," "I Just Want to Make Love to You," "Ventilator Blues," and a recently released outtke, "Keep Up Blues," just to name a few. In other words, the perfect alternative Stones special, just for public radio! Includes a couple of cuts from the 2016 album Blue and Lonesome. Commentators include roots/blues musician Taj Mahal, Rolling Stone Magazine's Anthony DeCurtis, Grammy Museum Director Bob Santelli, NPR Music's Ann Powers, writers Holly George-Warren and Geoff Edgers, and New York musician Jon Spurney. Hour Two adds radio producer David Kunian, Howard Kramer of the Rock and Roll Hall of Fame and Museum, and public radio blues show host Putnay Thomas. Rock and Roll Hall of Famer and multiple Grammy-Award winner Bonnie Raitt is profiled in this two hour music and commentary special featuring an exclusive interview with Bonnie as well as comments from Jackson Browne, Taj Mahal, Beth Nielsen Chapman, Maia Sharp, Freebo, Bill Payne, Ann Powers and more. Hosted by Paul Ingles. 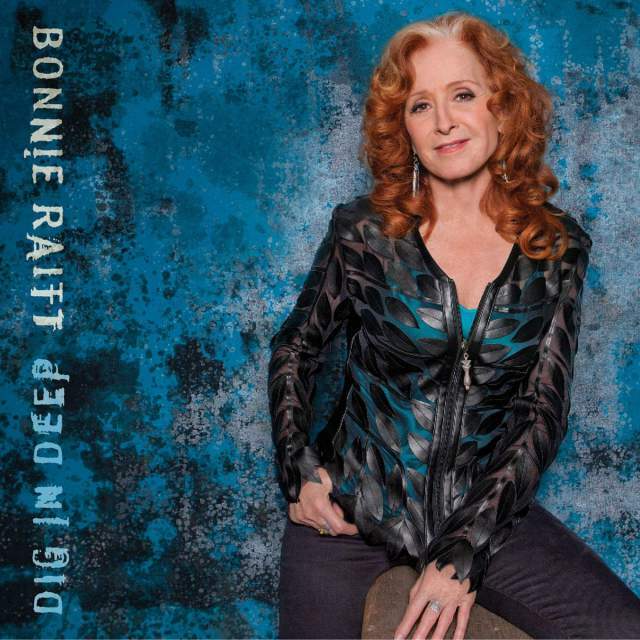 Blues/Rock/Pop star Bonnie Raitt is emerging from a 3 year studio layoff with a new record and tour. It's an opportune time to revisit her remarkable career and personal story. So award-winning producer Paul Ingles has added Bonnie Raitt to his "Emergence" series on important musicians of the last 50 years - which so far has included Bob Dylan, Paul Simon and Joni Mitchell. The Emergence of Bonnie Raitt includes exclusive interview material with Bonnie as well as the voices of many Bonnie's colleagues including Jackson Browne, Taj Mahal, Beth Nielsen Chapman, Bill Payne, Maia Sharp, Freebo plus NPR Music critic Ann Powers. The program samples music from throughout her career from her earliest recordings to her more recent work. FOR PROGRAM DIRECTORS: Available in two-hour format, either at 59 minutes each hour or 54 minutes each hour for stations running newscasts. Also a one hour version is being offered for stations that absolutely can't clear the two hours either back to back or on consecutive weeks. It's recommended that you try to go the two-hour route. It will offer the kind of immersion that will be much more satisfying to listeners. You've seen American Master's programs on PBS. They are two hours for a reason. That's the case with this program as well. Note that the files for both the 59 minute hour-long version and the 54 minute hour-long version are offered under the tab "1 Hour Version." A one-hour music and commentary show about the late musician Levon Helm, drummer for the seminal Rock and Roll Hall of Fame group The Band, and a revered solo artist. Helm died April 19, 2012 at the age of 71 from a recurrance of throat cancer that had threatened his life as far back as 1997. Produced after Levon Helm died April 19, 2012, this program features Helms vocals and drumming with The Band, as well as some of his post-Band performances, with special attention given to his Midnight Ramble concerts held in recent years at his home in Woodstock, NY. Among the commentators complimenting the music are music writer Anthony DeCurtis, musicians Shawn Colvin, Rich Pagano, and David Gans, Grammy Museum head Bob Santelli and other Levon fans plus archival clips of Levon Helm himself. Two-hour exploration of the seminal work of heralded songwriter Paul Simon as revealed by musicians, writers and fans and archival interviews with Simon himself. Available now to all stations. Producer Paul Ingles hosts "The Emergence of Paul Simon," an engrossing two-hour special on the creative output of heralded songwriter Paul Simon. Ingles draws from an impressive guest roster to explore how Simon connected with audiences in the 1960s as part of Simon & Garfunkel, in the 1970s as a solo artist and in the 1980s when he re-emerged as a world star with the release of his Graceland album. Guest commentators include Simon biographer Patrick Humphries and music writers Ann Powers, Anthony DeCurtis, Paul Zollo, Lydia Hutchinson, Jim Fusilli and more. The program includes excerpts from several archival interviews of Simon and features musicians Joseph Shabalala, Shawn Colvin, Deborah Holland and several others. By mixing Simon's music from key moments in his career with informed commentary from musicians and music critics, "The Emergence of Paul Simon" articulates what two generations of music lovers have found so compelling about this thoughtful and innovative writer and performer. Program begins with excerpts from Simon's 2011 release "So Beautiful or So What?" Shawn Colvin is, according to the Music Hound Folk Encyclopedia, "a writer and performer of rare and special abilities." In this two-hour special for public radio, award-winning producer Paul Ingles presents a compelling portrait of the singer/songwriter at work on her most recent music and at home reflecting on her remarkable career that has included three Grammy awards, critical and commercial success. This program is an independently produced study of a notable artist coming to grips with mid-life, and personal and professional challenges. Ingles visited with Colvin at the beginning, middle and end of her process of writing and recording the 2006 release THESE FOUR WALLS. Listeners will hear both early and finished versions of tracks from the CD (released 9/12/06) as well as highlights of a studio recording session in Austin. Woven into the story of the making of the album is Shawn Colvin's own tale of growing up in South Dakota, struggling to make it as a performer and writer, then getting "discovered" at the relatively late age of 33, and recording a #1 song and top-selling album at 41. Soon after hitting this peak, however, her record company lost interest in her, unable to imagine a 40-something woman hitting the pop radio charts again. In the past decade, Colvin has had her first and only child, endured a second divorce, changed management and record labels, and turned 50. All bringing her to the moment in her life documented in SHAWN COLVIN: INSIDE 'THESE FOUR WALLS.' Also featured: Colvin's long-time producer and co-writer John Leventhal, Lydia Hutchinson (editor, Performing Songwriter Magazine) and Jody Denberg of Austin's KGSR Radio. Music from all parts of Colvin's career provides the soundtrack to this lively portrait of an important, though sometimes overlooked, figure in music. Saxman Clarence Clemons, original member of Bruce Springsteen’s E Street Band, died from complications following a stroke, June 18, 2011 at the age of 69. In the first half of this special, some of his signature solos with the E Street Band and Bruce Springsteen's 2017 tribute to Clarence from the Springsteen on Broadway show. In the second part, a few of Clemons' other collaborations and solo work. Paul Ingles produced and hosts. Saxman Clarence Clemons, original member of Bruce Springsteen’s E Street Band, died from complications following a stroke, June 18, 2011 at the age of 69. In the first half of this special, some of his signature solos with the E Street Band and Bruce Springsteen's 2017 tribute to Clarence from the Springsteen on Broadway show. In the second half, some of Clemons' solo work and other collaborations with artists like Jackson Browne, Darlene Love, Ringo Starr, Aretha Franklin and Lady Gaga. Paul Ingles produced and hosts. Two-hour or one-hour exploration of the seminal work of heralded songwriter Joni Mitchell. Over 50 Mitchell songs are featured in the recommended two-hour version. Special guests include music writers Ann Powers, Anthony DeCurtis, Paul Zollo, Lydia Hutchinson and Holly George-Warren. Also featured are musicians Shawn Colvin, Lucy Kaplansky and others. "The Emergence of Joni Mitchell," is a two-hour examination of one of the most heralded songwriters of her time. In this third installment of his series on the seminal work of important figures in popular music, Ingles and his guests explore how Joni Mitchell crafted her artistry and connected with audiences over four decades. Mitchell put the experience of being a woman and being human on artful display through her blatantly honest and confessional lyrics, innovative open guitar tunings and jazz-inflected vocals. The program focuses on Mitchell's key releases to illuminate the musicianship of the woman "Rolling Stone" called "one of rock's most daring and uncompromising innovators." By mixing Mitchell's music from these pivotal moments with informed commentary from musicians, fans, music critics and archival interviews with Mitchell herself, "The Emergence of Joni Mitchell" articulates what music lovers have found so compelling about this thoughtful and innovative writer and performer. Over 50 Mitchell songs are featured. Special guests include music writers Ann Powers, Anthony DeCurtis, Paul Zollo, Lydia Hutchinson and Holly George-Warren. Also featured are musicians Shawn Colvin, Lucy Kaplansky and others. The two hour version is adaptable to a newscast necessary clock. Included as well is a one-hour version of the program (no breaks - not newscast compatible). The story of one of the most long-lived and influential traditional New Mexican Hispanic musical groups in the state, Los Reyes de Albuquerque. The Martinez family, the heart of the group, has experienced its share of highlights and heartaches over more than 45 years of performing. Roberto Martinez Sr., the family patriarch featured in the program, passed away January 3, 2013. To mark the 50th anniversary of the release of The Beatles' landmark album RUBBER SOUL, producer Paul Ingles presents another in his acclaimed series of specials on Beatles' history. Over a dozen musicians, music writers and Beatles fans comment on the significance of this 1965 release by the band along with song-by-song notes on the writing and performances of each track. 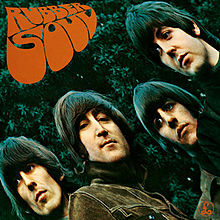 RUBBER SOUL was slotted at #5 in a ROLLING STONE MAGAZINE 2012 survey of the Top 500 Rock Albums of All-Time. 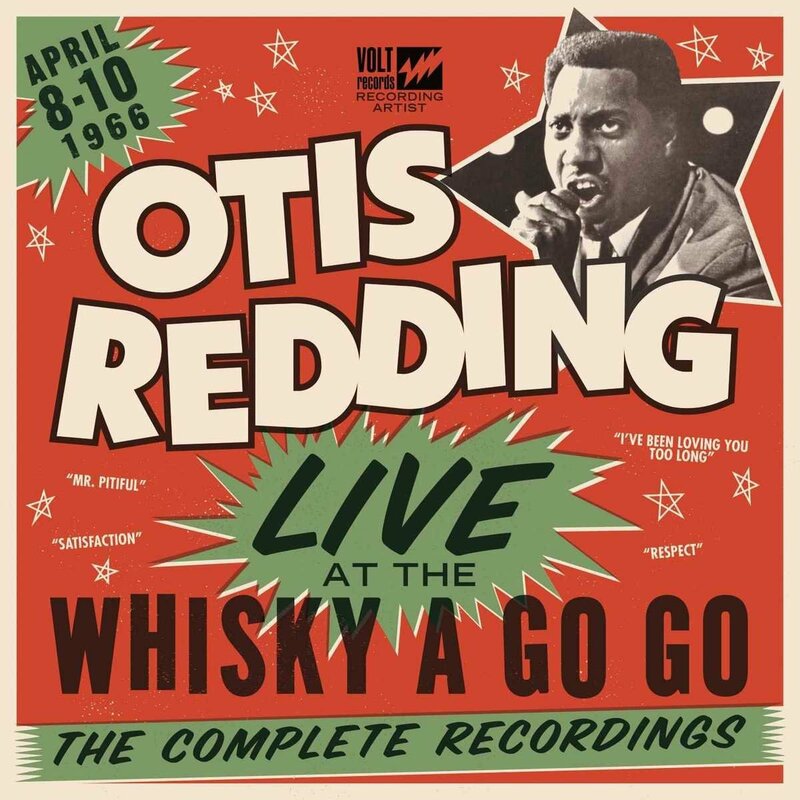 In the two-hour version, each song in the 14-track original UK version is spotlighted including "Drive My Car," "Nowhere Man," "I'm Looking Through You," "If I Needed Someone," "In My Life," "Michelle," and others. Commentators include music writers Anthony DeCurtis of Rolling Stone magazine, John Kruth, author of a new book on Rubber Soul , Paul Zollo, Harvey Kubernik, Jim Fusilli of the Wall Street Journal , NPR's Ann Powers, and Scott Freiman. Musician commentators include Shawn Colvin, BJ Leiderman, Jon Spurney, David Gans, Rob Martinez, and Peter Mulvey. Also featured are music teacher Sara Schafer Jones, public radio DJ Scott MacNicholl. The one-hour version features complete versions of most of the panel's favorites, and excerpts of others. 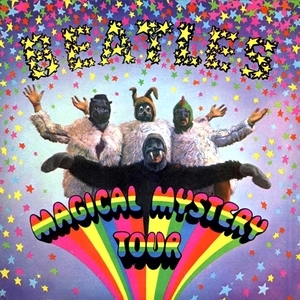 Beatles documentarian Paul Ingles is joined by two super Beatles fans to provide an annotated tour through The Beatles chart-topping album, released 50 years ago, MAGICAL MYSTERY TOUR. Beatles documentarian Paul Ingles is joined by two super Beatles fans to provide an annotated tour through The Beatles chart-topping album, released 50 years ago, MAGICAL MYSTERY TOUR. Musician Rob Martinez and Beatles lecturer Scott Freiman offer historical background, personal stories and their informed opinions on each track from the 1967 album that spent 8 weeks in the number one slot on U.S. album charts in 1968. Music writers, musicians and fans offer a track-by-track assessment of the 12th and last official Beatles album, LET IT BE, released in May of 1970. A two-hour special that chronologically follows The Beatles through 1969 and 1970 as they record their final tracks, struggle with their company, squabble with each other, pursue other interests, and ultimately split apart. Although their fans didn't know it, the music The Beatles were making in 1969 turned out to be the last recordings they would ever make as a four-some. When John Lennon, Paul McCartney, George Harrison and Ringo Starr gathered in the studio the day after New Year's that year, the last chapter of their remarkable journey began with the sometimes contentious Get Back / Let It Be sessions. The band's business affairs began to unravel soon after and several members' minds started drifting toward getting off The Beatles' merry-go-round. Still they managed to pull off one final masterpiece, Abbey Road, before being photographed together for the last time in August and formally closing the book on the Beatles early in 1970. Award-winning producer Paul Ingles continues his documentation of The Beatles' story with The Last Year in the Life of The Beatles, a two-hour special that chronologically follows the band through 1969 as they record their final tracks, struggle with their company, squabble with each other, pursue other interests, and ultimately split apart. Listeners will hear behind the scenes studio chatter, rehearsal takes of songs, and finished classics, mixed with informed commentary from a host of music writers, musicians and fans. Clips from news events and other classic music from the tumultuous year that ended the 1960's will also be blended in. Commentators include writers Steve Turner, Anthony DeCurtis, Mikal Gilmore, Richie Unterberger, Greg Kot, and Ann Powers, and musicians Shawn Colvin, Richard Goldman, Jon Spurney, and David Gans. Ingles has produced programs spotlighting many Beatles albums as well as documentaries on Joni Mitchell, Paul Simon, Shawn Colvin and Bob Dylan. More information about his work is at www.paulingles.com. To mark the passing of rock 'n' roll pioneer Bo Diddley, Paul Ingles hosts an hour of music from Bo's songbook as well as music from some of the many rock and pop stars who borrowed his famous beat. In 1999, radio producers Paul Ingles and Joe Warnes went in pursuit of an interview with the Godfather of Soul, James Brown at a tour stop in Albuquerque. As they pursued a private audience with Brown, they managed to capture his essence by talking to fans and handlers and by taking listeners inside the arena for a taste of a James Brown show. Offered here in a 29 minute doc and a 6:30 excerpt. A Bonus Music Sweep is added for Stations Needing 53:00 or 58:00 Hours. To mark the legendary career of James Brown, give your listeners this special treat. In 1999, radio producers Paul Ingles and Joe Warnes went in pursuit of an interview with the Godfather of Soul, James Brown at a tour stop in Albuquerque. As they pursued a private audience with Brown, they managed to capture his essence by talking to fans and handlers and by taking listeners inside the arena for a taste of a James Brown show. Offered here in a 29 minute program and a 6:30 featurette. The featurette would require the following hard lead that would include your own copy on Brown's death. Featurette Suggested lead detail: Independent Producer Paul Ingles (ING-guhls) saw James Brown concerts in the mid-1970's and then again in 1999 in Albuquerque, New Mexico. Ingles and co-producer Joe Warnes (WAR-nez) covered the concert then, talking with fans and recording a bit inside the arena, trying to capture what it was like to be in the presence of the Godfather of Soul. Add the bonus hosted all-music sweep to create a 53:00 version. Add the single bonus track at end to make a 58:00 version. We make no claim to innovation in the music sweep. Just offering it for stations that can't find their own JB hits disc to do this themselves and create an hour from the half-hour doc. Download what you need. 30 Second Promo, which needs a tag, is included.